Danny Kanell and Raja Bell discuss Rick Barnes and the vacant UCLA coaching job. NCAA March Madness Bracket Breakdown Analysts discuss the Virginia Cavaliers victory performance against the Texas Tech Red Raiders, 77-85. Tim Doyle and Matt Norlander join Hakem Dermish to give you their impressions from the Final Four, presented by Geico. Our 'March Madness 360' analysts discuss the strengths and weaknesses of the Michigan State Spartans. Our 'March Madness 360' analysts discuss the strengths and weaknesses of the Texas Tech Red Raiders. Our 'March Madness 360' analysts discuss the strengths and weaknesses of the Virginia Cavaliers. Our 'March Madness 360' analysts discuss the strengths and weaknesses of the Auburn Tigers. On Off the Bench with Kanell and Bell, Danny and Raja discuss Zion Williamson's lone season at Duke. 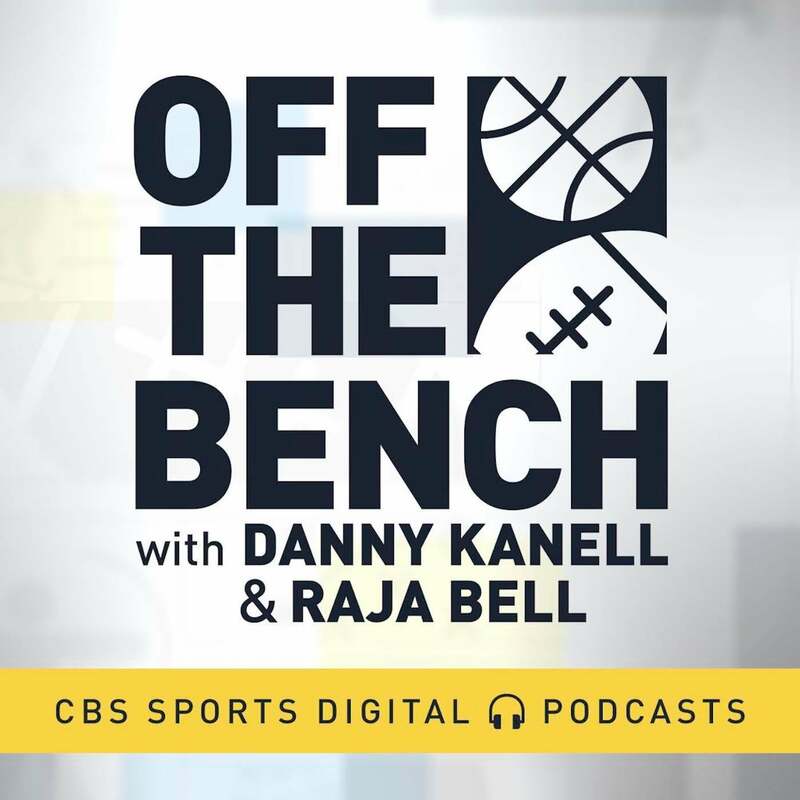 On Off the Bench with Kanell and Bell, Danny and Raja discuss John Calipari's decision to sign a lifetime deal with Kentucky. Off the Bench: Was this year a failure for Coach K? On Off the Bench with Kanell and Bell, Danny and Raja discuss whether or not Mike Krzyzewski let Duke down this year. Tim Doyle joins Hakem Dermish to give his take on the importance of Mamadi Diakite's game-tying shot that led to a Virginia win in overtime if the Cavaliers win the NCAA Tournament, presented by Geico. Tim Doyle joins Julie Stewart-Binks to discuss which team and/or players are hot or cold in the Elite Eight matchup between Michigan State and Duke, presented by Coors Light. Tim Doyle joins Hakem Dermish to give his analysis of the team with the best backcourt players remaining in the NCAA Tournament, presented by Geico. Tim Doyle joins Julie Stewart-Binks to discuss which team and/or players are hot or cold in the Elite Eight matchup between Texas Tech and Gonzaga, presented by Coors Light. Tim Doyle joins Julie Stewart-Binks to discuss which team and/or players are hot or cold in the Elite Eight matchup between Purdue and Virginia, presented by Coors Light. Tim Doyle joins Hakem Dermish to give his expert picks for the Elite Eight game between Auburn and Kentucky, presented by Infiniti. Tim Doyle joins Hakem Dermish to give his expert picks for the Elite Eight game between Michigan State and Duke, presented by Infiniti. NCAA March Madness Bracket Breakdown: Elite Eight preview- "OFFENSE wins GAMES"
Our NCAA March Madness 360 Analysts discuss the Kentucky Wildcats victory against the Houston Cougars 62-58. 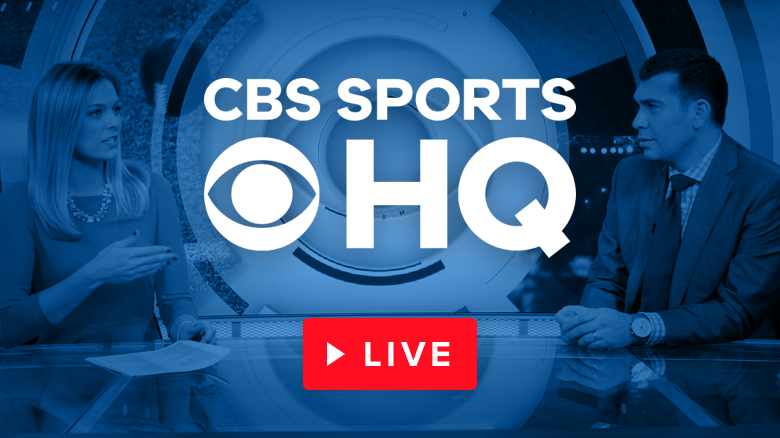 CBS Sports college basketball analyst Tim Doyle joins CBS Sports HQ to give his bold prediction for this year's NCAA Elite Eight. Geico 15: Who has the best backcourt left in tournament? Tim Doyle joins Hakem Dermish to give his bold take on who has the best backcourt left in the NCAA Tournament, presented by Geico. NCAA March Madness Bracket Breakdown Analysts previews the Houston Cougars versus the Kentucky Wildcats. NCAA March Madness Bracket Breakdown Analysts previews the LSU Tigers versus the Michigan State Spartans. NCAA March Madness Bracket Breakdown Analysts previews the North Carolina Tar Heels versus the Auburn Tigers. NCAA March Madness Bracket Breakdown Analysts comments on college basketball's new head coach hire's. Chip Patterson shares his Eastern region NCAA Sweet 16 picks. Chip Patterson shares his Midwestern NCAA Sweet 16 expert picks. Chip Patterson breaks down his NCAA Sweet 16 picks. Tim Doyle joins Hakem Dermish to give his bold take on who will come out victorious in the NCAA Tournament, presented by Geico. Tim Doyle joins Hakem Dermish to give his bold prediction for the 2nd round matchup between 9 UCF and 1 Duke in the NCAA Tournament, presented by Geico. NCAA March Madness Bracket Breakdown Analysts discuss the Duke Blue Devils victory performance against the North Dakota State Bison 85-62. Our NCAA March Madness 360 Analysts discuss the North Carolina Tar Heels victory performance against the Iona Gaels 88-73. NCAA March Madness 360: Liberty Blocks out Mississippi State! Our NCAA March Madness 360 Analysts discuss the Liberty Flames victory performance against the Mississippi State Bulldogs 80-76. NCAA March Madness 360: Tacko Fall SLAMS VCU out of Round 2! Our NCAA March Madness 360 Analysts discuss the UCF Knights victory performance against the VCU Rams 73-58. Tim Doyle joins Scott Stanford to give his expert picks for the NCAA Tournament games on Sunday, March 24th, presented by Infiniti. Tim Doyle joins Scott Stanford to give his expert picks for the NCAA Tournament games on Saturday, March 23rd, presented by Infiniti. Adam Rowe of The Devils Den on 247Sports breaks down Duke's win over North Dakota State in Round 1 of the NCAA Tournament. NCAA March Madness 360: UC Irvine and Oregon PULL OFF the UPSET, WHO'S NEXT!? Our NCAA March Madness 360 Analysts discuss the UC Irvine Anteaters victory performance against the Kansas State Wildcats 70-64. Tim Doyle previews the Washington-Utah State matchup. NCAA Tournament highlights between 10 Iowa vs 7 Cincinnati on Friday, March 22nd. NCAA March Madness Bracket Breakdown Analysts discuss the Michigan State Spartans victory performance against the Bradley Braves 76-65. It's business as usual as Kentucky prepares for their first-round matchup against Abilene Christian University. Our NCAA March Madness 360 Analysts discuss the Florida Gators victory performance against the Nevada Wolf Pack, 70-61. Our NCAA March Madness 360 Analysts discuss the victory performance of the Murray State Racer's Ja Morant against the Marquette Golden Eagles 83-64. Started by Senior guard, and Houston native Galen Robinson Jr, the 2018-2019 Houston Cougars have adopted the motto "For The City." Heading into the tournament, they're looking to make their university and their city proud. Cryotherapy has become a popular activity for the Marquette team and as long as it continues to produce the quality play on the court, their coaching staff looks to keep them hooked. The 2018 National Championship may have been a heart breaker for the Michigan Wolverines, but they are using the memory of last year's defeat as motivation for their upcoming tournament game. Our 'Bracket Breakdown' analysts preview the first round matchup between Saint Mary's ans Villanova. Our 'Bracket Breakdown' analysts discuss whether the Gonzaga Bulldogs can make a run to the Final Four. Our 'Bracket Breakdown' analysts discuss whether the Michigan Wolverines can make a run to the Final Four. Bracket Breakdown: Can Belmont pull off a first round upset? Our 'Bracket Breakdown' analysts discuss previews the first round matchup between 11 Belmont and 6 Maryland in the NCAA Tournament. Bracket Breakdown: Can Michigan State make a deep run? Our 'Bracket Breakdown' analysts discuss Michigan State's changes of making a run to the Final Four. Our 'Bracket Breakdown' analysts discuss the suspension of Syracuse guard Frank Howard. Our Bracket Breakdown Analysts previews the upcoming game between the St. John's Red Storm versus the Arizona State Sun Devils, 03/20. Among the most dedicated in college basketball, the fans of Murray State believe they have something special this season with Ja Morant leading the way to a first-round game against Marquette in Hartford on Thursday. Our NCAA March Madness 360 Analysts preview the upcoming game of the on the Murray State Racers versus the Marquette Golden Eagles, 03/21. Our Bracket Breakdown Analysts discuss chances of the Duke Blue Devils in willing the NCAA Championship. Gary Parrish, Kenny White, and Chip Patterson break down their first-round NCAA Tournament best bets. NCAA March Madness Bracket Breakdown: What are Championship eliminators? Our March Madness Bracket Breakdown Analysts discuss the shortcomings of past teams and applied it to the remaining teams that are competing to win the Championship. Our March Madness Bracket Breakdown Analysts predicts which low-ranking team might unexpectedly defeat a high-ranking team. It's one of the great events of March Madness, but Selection Sunday doesn't come without its fair share of nerves and anticipation and in the end hopefully a lot of celebration. 'CBS Sports' Adam Schein Analyst reviews the 3 major teams that are the #1 seeds of the 2019 NCAA Tournament. Our March Madness Bracket Breakdown Analysts previews the Colgate Raiders versus the Tennessee Volunteers upcoming game Friday, 03/22. Our March Madness Bracket Breakdown Analysts comments on the overall performance of the Duke Blue Devils Zion Williamson so far. On CBS Sports HQ, Jim Nantz, Grant Hill and Bill Raftery recap the action between the Michigan Wolverines and Michigan State Spartans in the Big Ten Championship. Ian Eagle and Jim Spanarkel recap the Billikens' comeback win over the Bonnies to win their first A-10 Championship since 2013. Jordan Goodwin and coach Travis Ford join Jamie Erdahl to discuss their huge win over St. Bonaventure, earning them their first NCAA tournament appearance since 2014. On CBS Sports HQ, Jim Nantz, Grant Hill & Bill Raftery preview the Big Ten championship game between the Michigan Wolverines and the Michigan State Spartans. Jerry Palm and Matt Norlander break down which conferences are coming into the NCAA Tournament hot and which ones are coming in cold, presented by Coors Light. Tracy Wolfson caught up with Michigan State head coach Tom Izzo after the Spartans beat the Wisconsin Badgers to advance to the Big Ten championship game. Our Inside College Basketball Analysts discuss predictions on the Duke Blue Devils for the ACC Tournament Championship. Our Inside College Basketball Analysts discuss the SDSU Aztecs 65-56 victory over the Nevada Wolf Pack. Our Inside College Basketball Analysts discuss the Western Kentucky Hilltoppers 70-54 victory over the Southern Miss Golden Eagles. Chip Patterson breaks down the potential 1-seeds in the ACC. Presented by the United States Marine Corps, Casey Keirnan takes a closer look inside the Big Ten Tournament matchups. Our Inside College Basketball Analysts discuss the Arizona State Sun Devils 83-72 victory over the UCLA Bruins in the Pac-12 Tournament. Our Inside College Basketball Analysts discuss the Duke Blue Devils 84-72 victory over the Syracuse Orange in the ACC Tournament. Our Inside College Basketball Analysts discuss teams in the ACC Tournament that have shown the most consistency on the court. Our Inside College Basketball Analysts comment on the LSU Tigers head coach Will Wade's suspension updates. Inside College Football features Tennessee Volunteers head coach Rick Barnes' coaching style to prepare his team for the NCAA Tournament. Inside College Basketball Analysts discuss the Saint Mary's Gaels 60-47 victory over the Gonzaga Bulldogs to win the WCC Tournament. Inside College Basketball: Can the ACC get 3 one seeds? Inside College Basketball Analysts predicts what teams will make it to selection Sunday. Our Inside College Basketball Analysts discuss the Northeastern Huskies 82-74 victory over the Hofstra Pride to win the CAA championship. Inside College Basketball: Will the Spartans make the dance? Inside College Basketball Analysts discuss comments UNC Greensboro Spartans loss against the Wofford Terries, 58-70. Inside College Basketball Analysts discuss comments on the Hofstra Pride's victory performance against the Delaware Fightin' Blue Hens, 78-74. CBS Sports bracketologist Jerry Palm breaks down the hot and cold teams in the Big Ten, presented by Coors Light.